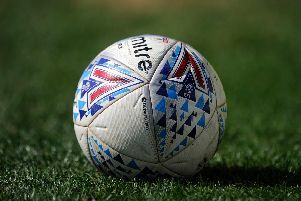 Here is all the latest news from across League One on Wednesday, February 6, 2019. Plymouth’s Derek Adams, Charlton's Lee Bowyer and Scunthorpe’s Stuart McCall are also up for the monthly manager accolade. "I still think it's a foul,” Ricketts told the Shropshire Star. “I've not seen every angle back that VAR use, but from my point of view it's 100 per cent a foul. "You can't have two arms around our player's waist and pull him to one side. I'm not sure what angles VAR saw back.I saw it with my own eyes, if VAR had my angle then it's a foul. It's not a goal in any way, shape or form.